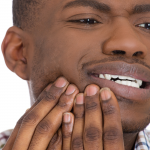 How Many Dentists in Philadelphia Can Suit Your Needs? Philadelphia is one of the largest cities in the United States, and that means we have many dentists competing for patients. But Penn Dental Medicine stands out among other dentists, even with all the competition. Over the course of many years, we’ve become a true leader on the Philly dentistry scene. It’s not just the high quality of our dental professionals, though. It’s true that the instructors and educators we have here at Penn Dental Medicine are some of the best in the field, and that is certainly a draw for patients. 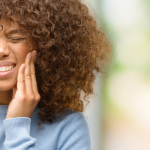 But the real advantage that Penn Dental Medicine has in the realm of Philly dentistry is the large range of services we provide at an affordable cost. Take a look at how that helps us stack up against the rest of Philadelphia. 1 Location for all your dental needs. Located downtown on 40th and Locust, Penn Dental Medicine is in the thick of things. We’re accessible by train, bus, car, and by foot, so you’ll always have a way to get the care you need. Penn Dental Medicine is the center of Philly dentistry, so you’re sure to find what you need here. 6 Dental Specialties offered. While we do have students training to be general dentists, we also offer training in a large number of dental specialties. 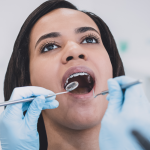 These specialties all require special schooling beyond what is required of general dentists; for example, orthodontists, prosthodontists, and pediatric dentists. 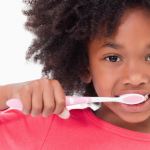 With so many specialties under one roof, you’re sure to find a dentist who can help. 12 Dental Services offered. 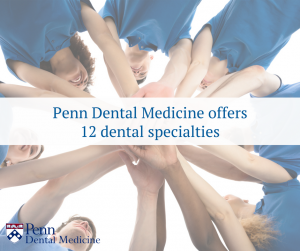 Penn Dental Medicine offers a wide range of quality dental services, including general dentistry, teeth whitening, pediatric dentistry, oral surgery, and much more. We offer comprehensive care under one administrative staff, so you’ll never need to go through the hassle of finding another specialist or getting a referral. Once you join the Penn Dental Medicine family, our extensive staff is able to take care of any dental service need you may have. Penn Dental Medicine is built on our fantastic dentists, and it’s grown due to the advantages we offer. To learn more about the advantages we offer to our patients, give us a call or schedule an appointment. We’re excited to tell you more about what PDM dentists can do for you.